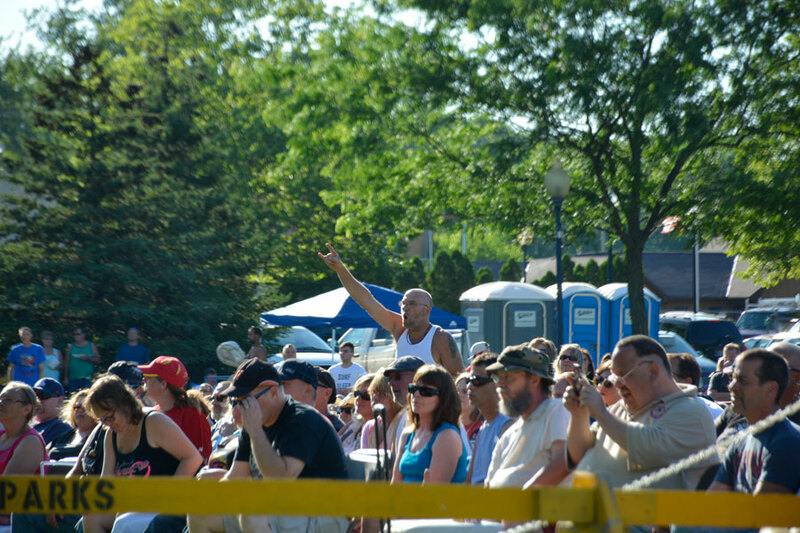 The crowd watches as Jack Russell’s Great White plays. 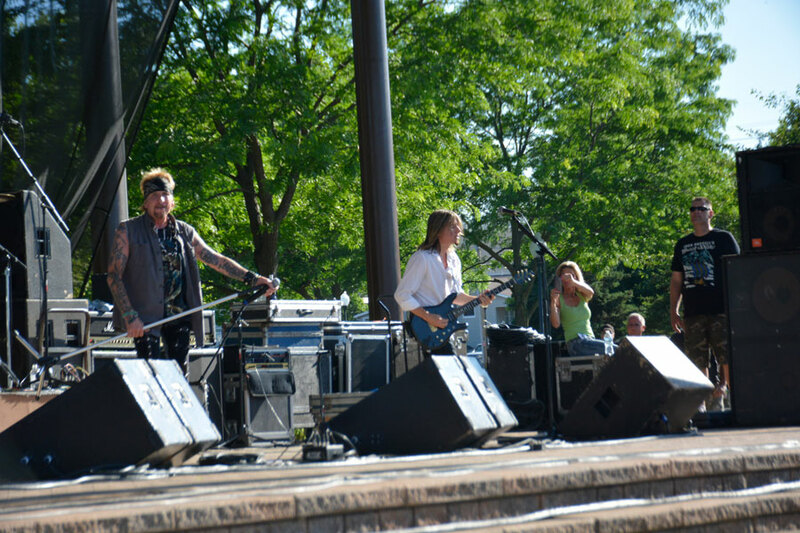 WARSAW — Jack Russel’s Great White took the stage at 6:30 p.m. Friday, June 17 to a large, cheering crowd at Glover Pavilion in Central Park. The crowd contained fans new and old, from as far away as Crown Point, all of them gathered and ready to enjoy some classic 80s rock. 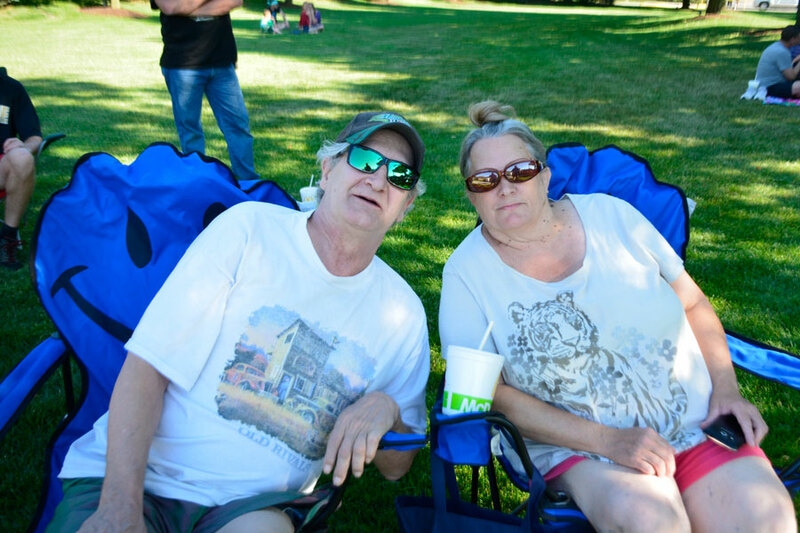 “We never stopped listening [to Great White],” said Robert Ritter Jr. of Rochester, one of the many gathered for the concert. “Once Bitten Twice Shy is my favorite,” he continued. “I like it all,” countered his companion, Stephanie Chilcutt. Still others came just to listen and have a good time. “We don’t know the bands … We just came here to listen to the music,” Melissa Method said as she sat on a blanket next to two of her friends. “I never followed them but he showed them to me,” commented Debra, William’s wife. 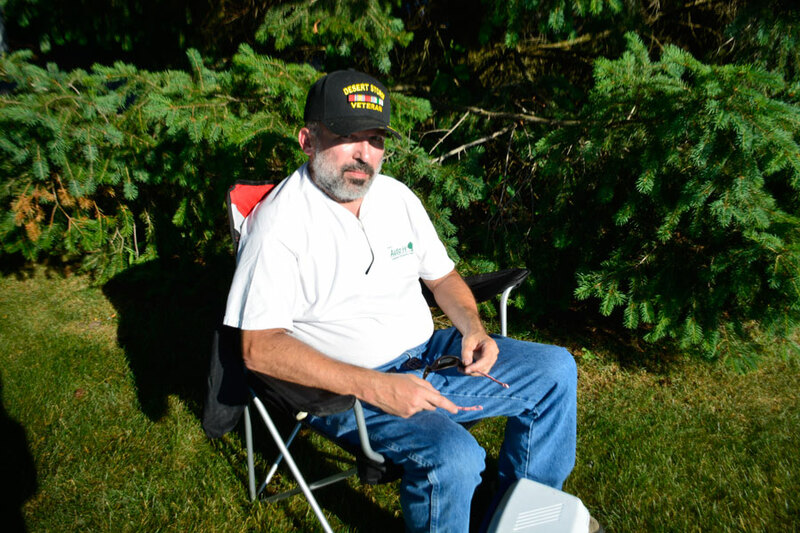 Another attendee and Great White fan, Brian Palik, sat beside a few trees just before the concert began, his hat shading his eyes from the evening sun. “I remember Great White when it was the original Great White,” Palik said. Palik is a big fan of the park concerts. “I try to catch all the rock and country concerts all year,” he said. ” The Parks Department has been bringing good artists and I hope they keep up the good work,” Palik continued. 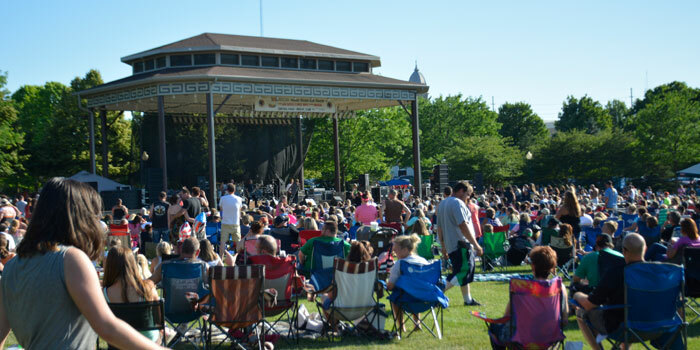 “We’re expecting anywhere from 6,000 to 7,000 people,” said Sheila Weiringa, the recreation director of the Warsaw Parks & Recreation Department, as she held a hand over her eyes to look over the crowd. Jack Russell, Tony Montana and Chris Tristram opening the show at Glover Pavilion. Jack Russell and Chris Tristram at the beginning of their performance at Glover Pavilion. 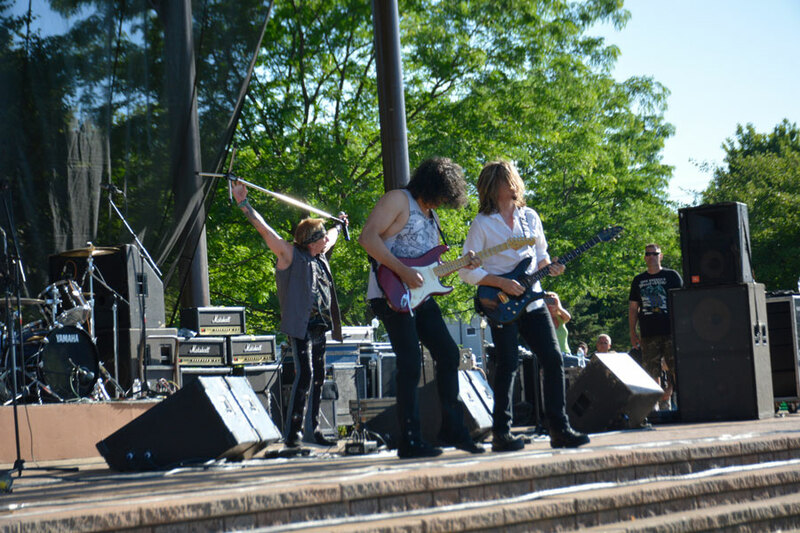 A Great White fan rocking out amidst the crowd. Brian Palik, a Warsaw resident and another long time Great White fan . William And Debra Smith, two long time fans of Great White. 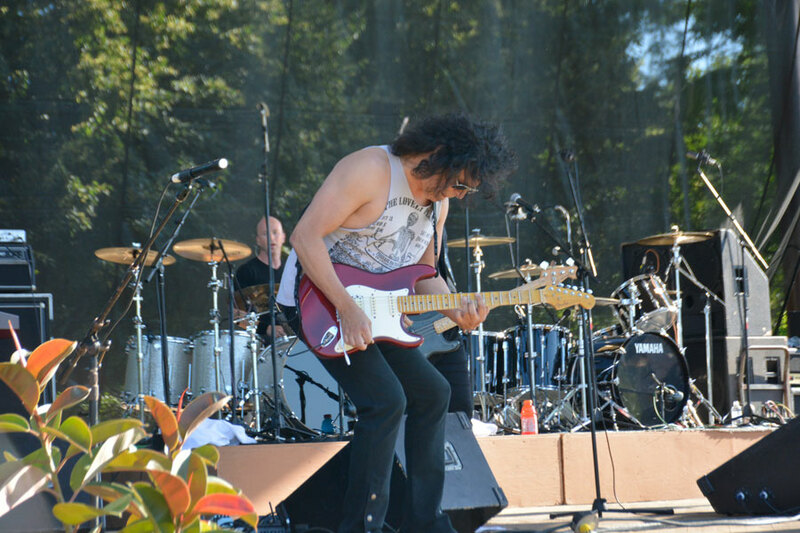 Tony Montana playing bass guitar at Rockin’ Riley concert at Glover Pavilion. 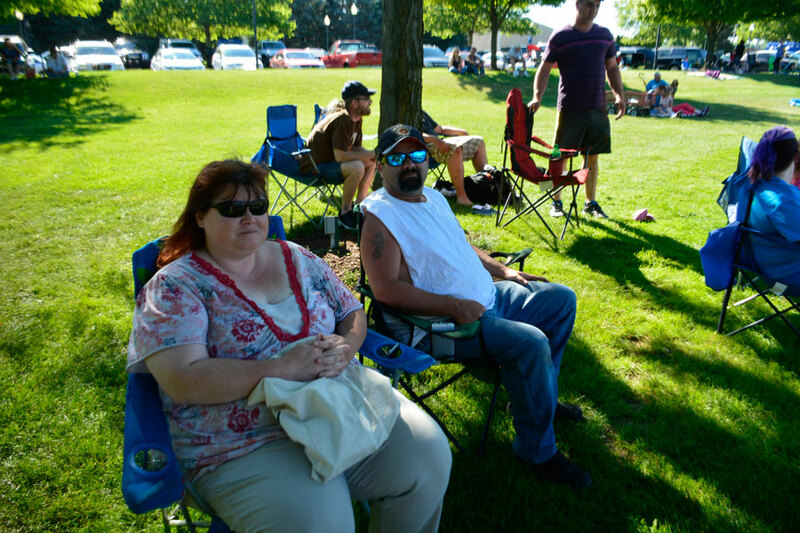 Great White fans, Stephanie Chilcutt and Robert Ritter Jr. sit, waiting for the concert to begin. 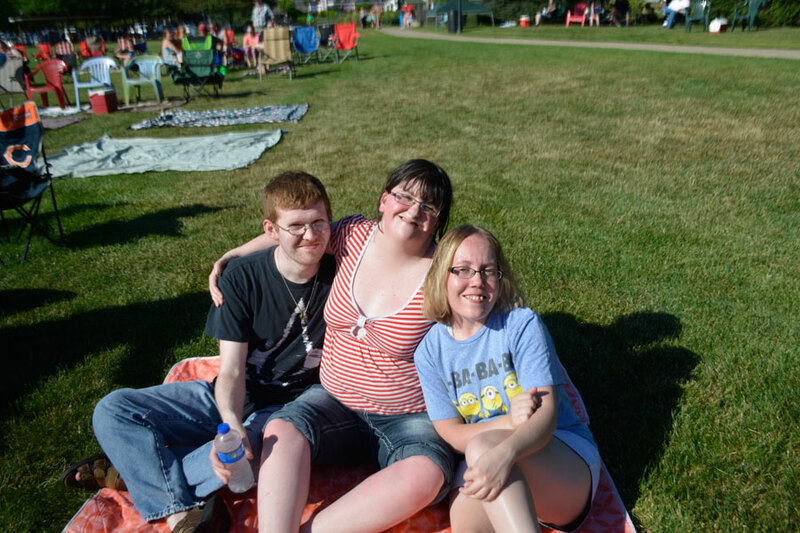 From the left, friends John Lockridge, Melissa Method, and Angel Eberstein wait for the concert to begin.